One of the big opportunities with the Microsoft cloud offerings I have always maintained is Project Online. However, a good question was asked as to whether you could roll a purchase of Project Online into say a small business (P) or Mid-sized Business (M) plan? and in the list below you’ll find Project Online. Thus, you can always purchase Project Online if you have an M or P plan but it will be in a different tenant with different logins. As I say, this is why E plans are worth the additional cost! In this post I’m going to focus on the area that is most important post-information upload to SharePoint Online. As way of an analogy take a look at this clip from UK Top Gear. Ensure you watch the section from 2:06 to 3:45 and take note. What it illustrates is that a high performance track day car like the KTM X-bow and many other such high performance cars don’t have a very ‘standard’ starting procedure. It is all very simple when you know but left to your own devices (like James May in the video) you’ll get nowhere but utterly frustrated. The same applies to a SharePoint Online migration. Why? Because moving to SharePoint Online is a very different environment from traditional files and folders. Things are different (and better) for a number of reasons but if you don’t know how to at least start using SharePoint Online you are going to get pretty frustrated pretty quickly just like if you’d bought a KTM X-bow and no one had shown you how to start it! In my initial post in this series I noted how that if you want things to stay the way they are with your files and folders in the cloud then SharePoint Online may not be for you. What I also noted was that I believe this to be a very small minority of businesses since most want to receive the productivity benefits of true collaboration and are willing to invest the time to get the most from SharePoint Online. However, there is nothing more frustrating that buying something new and then not even being able to use it. Imagine you where lucky enough to afford something like a Ferrari 458 Speciale and then you couldn’t even start it. Even though there is whole lot more to ownership than just starting the car, initially after purchase getting some usage out of what you bought is a huge aspect of the experience you will have with it going forward. Having a good experience (i.e. being able to fire the beast up and drive it immediately) makes things more positive, even if you have a few set backs (say curbing the rims) down the track. However, if you have bad experience immediately at the start (i.e. you can’t work out how to make it go) you’ll remember that far more and have a much greater challenging overcoming that initial negative impression. It is simple human nature really but understanding this is also the key to a successful SharePoint Online migration. In essence what I am saying is that even after all the data has been copied across and categorized the most important part for the success of the project comes immediately after this – getting the users over the initial usage hurdle as quickly as possible (i.e. a few quick wins go a long way). Most users will be apprehensive about things changing. Most don’t trust technology and believe all machines ‘conspire’ against them constantly. This is the challenge the migrator needs to overcome. In short this means training. Once the data is over and users are about to be unleashed on SharePoint Online you need to make that transition as smooth and easy as possible. If you don’t, chances are the customer will always have a negative opinion about SharePoint Online and you will be starting from behind. You want to ensure the best possible experience. You want to ensure users get up and running quickly. You MUST ensure they can do their jobs better, quicker and easier than before. As with any new technology, that first hill is the largest but once you are over that it is generally all downhill from there. Like I have said in previous posts, this means the process of migration is NOT complete after merely copying the data across. The migration process is only complete once everyone is HAPPILY using SharePoint. This means you need to need to develop processes and material around the critical element of user adoption as much as the technical process of actually copying data. In so many instances I have seen, data gets copied but users then get abandoned to work it out for themselves. The chances of that ending with a good experience are almost zero. However, with a bit of planning and TLC the chances of a positive result are very high. Unfortunately, I just don’t see it a lot. As you will hear me say over and over again, SharePoint is more than cloud storage and should be treated as so. Like any other Office tool you need to learn how to work it, even the basics, so you can help those you are selling it to. Thus, if you are selling SharePoint migration services then you need to incorporating into that site design and adoption training. For most people selling SharePoint this means extending their skill set. Don’t just drag and drop and run away. Don’t be afraid of it. Invest a little bit of time to reap the rewards. With so much implementation of SharePoint Online being done currently it leaves a HUGE opportunity for those who do it right. Getting the user started is the key and never overlook the fact that making that as painless and simple as possible sets the stage for adoption of the more advanced features of SharePoint as well the deeper integration into the business and that spells business opportunity for those to take it up. As the Top Gear clip illustrates, having a key doesn’t always mean you can start the car! p.s. I believe in this adoption process so heavily that I created many publications around exactly that. They are not deep dive, they are not aimed at IT Professionals. They are aimed at end users who want to get on the gas with products as soon as they can. I created these because I saw no others in the market. and any purchase supports the work I do and allow me to create more such guides. What I want to cover in this article are the two styles of existing file storage systems you’ll find already in place at businesses – ‘piling’ and ‘filing’ – both of which have different challenges when it comes to migration to SharePoint Online. Let’s start with the more common ‘system’ of file storage in a business – ‘piling’. In essence a business that ‘piles’ simply uses existing network shares or local hard disks as nothing more than dumping ground for files. There is no structure, no naming convention and stuff is basically all over the place without any rhyme or reason. When you see this style of storage ‘implementation’ you should appreciate that the business has not put any time into developing standards for itself. It has all generally been about hast and once the document has been completed it is generally lost forever amongst all the other flotsam and jetsam on the network share. Therefore, the most appealing aspect to a ‘piler’ is the ability to locate documents and content using search. This is what SharePoint Online is great at. This therefore should be the major aspect in which you use to sell SharePoint to a ‘piler’. Where you are going to struggle is trying to put structure around the existing files. My initial post on SharePoint migration pointed out what a BAD IDEA simply dumping the files into a single document library is. In the case of ‘pilers’ this means you are going to have to put some structure in place to get their files under control. My advice is to start but dividing things into a couple of big chunks. Maybe one document library for each customer or perhaps some by function or project. Whatever it is don’t get too ambitious with the structure, just break it up enough so it fits comfortably into a couple of document libraries or sub sites. It is important that the structure you create is clear to the customer. That means keeping the naming convention simple and short. Once you have done that make sure that the customer understands that their data is still there but they can either look in one of the ‘chunked’ document libraries or sites you used or they can use the search function. For ‘pilers’ you REALLY need to emphasize and demonstrate the search abilities of SharePoint Online and ensure that all staff know how to use it to find what they want. Most importantly, you can’t just leave a ‘piler’ here because what are they going to do? That’s right, they are again simply going to ‘pile’ information into places inside SharePoint Online that you never imagined. The long game here is that you want to start moving ‘pilers’ towards being ‘filers’. You don’t however want to convert them totally, you simply balance out their tendencies. ‘Filers’ are at the complete opposite end of the spectrum. What ‘filers’ love to do is create endless directory structures full of nothing but sub-directories and put files at the bottom of these, layers and layers down. ‘Filers’ too also have a significant need to search for information but they have the advantage that they have already started categorizing the information. You can therefore use this structure and mimic it using document libraries, sub-sites and meta data. It will again mean you have to step back and look at what structure works best but the flatter the better. So can you see what the desired outcome is for ‘filers’? Yes, that’s right, you want to move them towards being more of a ‘piler’ and letting SharePoint Online search, filtering and sorting do all the hard work they used to implement with complex and static directory structures. The important thing when working with ‘filers’ is to show them how although much of their information is now contained in a single document library, they can use filtering, sorting and views to quickly navigate to the information they want. The good thing is that unlike ‘pilers’ they have already created the structure outline for you. All you need to do is map that into appropriate locations within SharePoint Online. If you leave ‘filers’ to their own devices with SharePoint Online, what they’ll do is start creating more and more sub directories in document libraries. You really want to discourage this as it hides information and that structure usually only makes sense to a very small subset of people in a business. To prevent this happening with ‘filers’ you need to continue to demonstrate how SharePoint Online filtering, sorting and the use of multiple libraries provides a much better and more flexible filing system than what they used to have. Again, you don’t want to covert ‘filers’ fully into ‘pilers’, you simply want to balance out their tendencies to move too far to one side of the ‘storage’ spectrum. Thus, in summary, the first determination you need to make when you are speaking to a customer about migrating to SharePoint Online is how much of a ‘piler’ or ‘filer’ they are. Where are they situated in the spectrum? All customers will fall somewhere between the two extremes, however the approach you should be taking is independent of this fact. The approach you should be taking is that you should be aiming to get them to 50% ‘piling’ and 50% ‘filing’ within SharePoint Online. That’s the sweet spot where the product can really work its full magic. Most importantly, is that any initial migration is just the start of the process and the opportunity if you are a reseller. To achieve the most optimal results continued work is going to be required in order to achieve ‘storage nirvana’ through all the features of SharePoint Online. Migration is therefore not a one shot deal, it is a process that continues to develop and evolve over time as you move a customer from the ‘simple’ storage to full collaboration with SharePoint Online. Hopefully this second post in my series about migrating to SharePoint Online has given you a simple method to evaluate your customers and secondly given you a direction in which to move with them (i.e. a 50/50 balance for everyone) when considering your migration strategy. I’ll be diving into more specifics in future posts so stay tuned. or from other eBook sellers like Amazon for less than AU$5. I thank SMB Nation for the opportunity to present and those who attended. 99 years ago Australian and New Zealand (ANZACs) forces went ashore on the Gallipoli peninsula in Turkey. For 9 months they remained their fighting a desperate battle against a determined enemy defending their homeland. In the end the ANZACs were withdrawn and went on to fight with distinction in Northern France and forge a legion that we celebrate today. 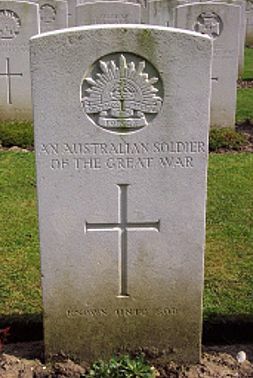 April the 25th is the day that we in Australia remember and celebrate all of those brave and committed individuals who served and continue to serve our country. May their deeds and commitment continued to be remembered and celebrated through the ages as the greatest embodiment of what it means to help your mates without question or requirement. I’ve been talking a lot lately about how collaboration is the key requirement going forward for successful teams and businesses. I’ve also highlighted my belief that Microsoft stands alone in understanding what collaboration with technology is all about. The heart of this understanding has been SharePoint for many, many years, however what I see coming down the pipe, especially from a product like Yammer integrated with Office 365 simply blows me away when I think about the future of collaboration. If you want an idea of what this all about and why I am so excited by what I see coming take a look at this Microsoft Garage video. What it demonstrates is fundamentally how Yammer will be seamlessly integrated across every Office 365 product. It also demonstrates to me that Microsoft is the only business that is truly integrating ‘social’ into the enterprise for large and small businesses. I honestly can’t wait until these updates start hitting customer tenants and I can start helping them change the way the way they work to become more productive with a tool like Office 365. If you want a differentiation point between the Microsoft cloud offering and what the competition is doing watch this video and tell me you don’t agree. Office 365 Pro Plus on a RDS (Terminal Server) is a very common question I see all the time. A while ago I wrote an detailed article around the licencing of Office 365 Pro Plus in an RDS environment. You can read the full blog post if you want to as it is still valid, but in summary what it says is that if you purchase Office 365 via a web console, that is either via the Microsoft console or via the Telstra portal here in Australia that product is NOT licensed to run on any type of RDS environment. The only way that you can run Office 365 Pro Plus in an RDS environment is if Office 365 was purchased via an Open agreement (basically volume licensing). That is basically the same as it is with other versions of Office, RDS is only supported with volume licensing. With that answered, next question is normally about actually installing Office 365 Pro Plus in a RDS environment. The challenge is the software you get from Office 365 is ‘click to run’ which won’t install on a RDS machine. So how do you actually go about getting Office Pro Plus onto a RDS machine when you have Office 365 via Open? How do customers get access to Office Professional Plus 2013 media for use with RDS deployments? Customer must have access to Volume Licensing Service Center (VLSC) and Volume Licensing keys to install and activate Office Professional Plus 2013 media on network servers for RDS scenarios with Office 365 ProPlus licenses. Access to media and keys in VLSC vary among different Volume License agreements, such as Enterprise Agreement and Open. Depending on your agreement type and previous Office license purchases, you may have access to Office Professional Plus 2013. If Office Professional Plus 2013 media and key are not available to you, a Volume Licensing partner may assist you with the purchase of an Office Professional Plus 2013 license to support your rights to deploy Office software on a network server with RDS role enabled. Thus, if you have only purchase Office 365 via Open you will also need to purchase one Office Pro Plus media and key via Volume Licensing to actually support the installation. This of course is an additional cost on top of any Office 365 licenses purchase which many resellers fail to factor in. They then get a nasty surprise when they attempt an install using ‘click-to-run’ and it doesn’t work. They get an even nastier shock when they discover they have to purchase one additional Office Pro Plus license to do the RDS installation. But by far the worst is when they have to go back to the customer and ask them for more money to cover this or swallow the increase themselves. I hear lots of bitching an moaning about this from resellers but in all honesty it is the same as it for most other versions of Office. You can’t install Office Pro Plus in an RDS environment with a retail version of Office Pro Plus, you again need to purchase the media and key via volume licensing. Now, I appreciate that there is an extra cost and it would be nice to get the media an key as part of Office 365 Open, and that may well come down the track, but you do have the additional benefit of being able to install Office 365 on in an RDS environment that you once couldn’t. Time to look at the cup half full guys I think. The secret is knowing what you can and can’t do and hopefully after reading this post it will have answered these questions which without doubt are the most common I see. If you purchase Office 2013 Professional Plus on a PC (OEM) or off a retail shelf there is no downgrade rights. This means you do not have the right to install Office 2010 instead. However, under certain volume licensing programs if you purchase Office 2013 Professional Plus you do have that right. This is one advantage of using volume licensing. Now in the Office 365 world, if you purchase a plan that includes Office Professional Plus for the desktop what happens? If you purchase that plan via a console (either the Microsoft console or the Telstra console here in Australia) you do not receive any downgrade rights because it is effectively like a retail purchase. However, what happens if you purchase Office 365 via Open licensing? rights are not available with Office 365 ProPlus licenses. So, in summary, no matter where you purchase Office 365 Pro Plus from, it does not come with downgrade rights.